MMJ Phytotech (ASX:MMJ) has bagged its first wholesale sale of its Satipharm CBD pill, a sale which could open doors for the pharmaceutical player. It told the market today that it had secured a $225,000 sale to UK supplement distributor Prima Sport, with the pill to be sold through a dedicated portal on the Prima Sport website. MMJ said it expects the order to be sold to customers within the first half of next year and it was in discussions with other European companies about doing a similar deal. “This partnership with Prima Sport, a leading supplement distributor, provides MMJ with access to a larger market within the United Kingdom and has the potential to raise further awareness of our CBD capsules,” MMJ managing director Andreas Gedeon said. MMJ first bagged a sale of its CBD pill back at the end of August, but this was from its own website rather than a wholesale bulk deal. MMJ has also recently signalled that it intends to pursue a market entry in Australia on the back of regulatory wins in several states. The pharmaceutical company raised $2 million to fund the market entry, but further bulk wholesale deals could provide a step-change in revenue for the company and fund further entries or acquisitions. The ‘farm to pharma’ company grows cannabis plants in Canada to extract the vital medicinal ingredients from the plant. 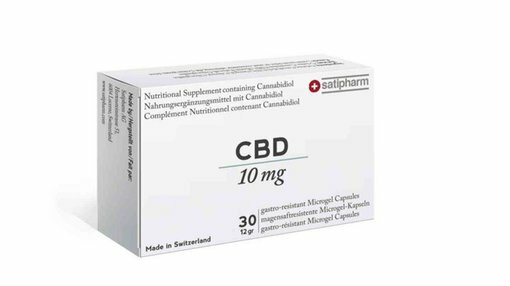 It then sends them off to Switzerland, where its subsidiary Satipharm develops products such as the CBD pill from them. It also has its eyes on being a pharmaceutical developer and distributor of cannabinoid “Active Pharmaceutical Ingredients” (APIs), which are highly valuable and for cannabinoid (CBD), can be traded at prices upwards of $350,000 per kilogram. It also has a R&D offshoot in Israel which works on research and product development.